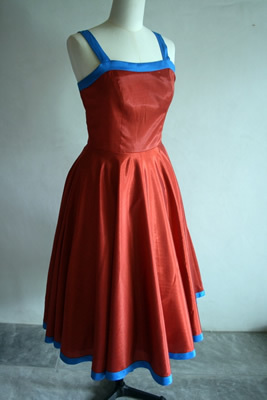 Simple and classic fitted fifties style evening dress. Full, flared circleskirt. The dress is fully lined and fastens at the back with a hidden zip. Knee length.The bodice is fitted, with a square neckline and thin straps.